Electronic spreadsheets are a legacy of a time after the advent of computers. How many of you remember Lotus 1-2-3? Yes, this was a DOS based spreadsheet, but it sure beat paper! Then Microsoft Windows came along and MS Excel offered a major improvement managing lists on paper. MS Excel became very common in business operations and it is natural that they find a use tracking safety activities. Now, with software in the form of integrated SMS database software and SMS point solutions, spreadsheets are falling further and further behind the sophisticated functionality of such software. The end result is that spreadsheets are significantly more labor intensive and yet much less effective for SMS management than database software solutions. Here are the 5 main things spreadsheets can’t do for your SMS. Evaluating context of data, such as to establish meaningful trends. Close out high risk issues? Close out medium risk issues? Start an investigation once an issue has been reported? Review hazards and risks in the hazard register? These data points are useful for setting goals and objectives that assist your company to demonstrate "continuous improvement" of the SMS. For those of you who are not die-hard safety managers, "Continuous improvement of the SMS" is the third element of the "Safety Assurance" component of an SMS. You would need to have the resources and manpower to actually perform complex monitoring and analysis. For smaller safety programs, having limited data analysis isn’t a big deal because the amount of total data in small. As an aviation safety program scales in size, so too does the need for more complex data analysis activities. Spreadsheets are the wrong technology to manage an SMS if your company is larger than 50 employees. 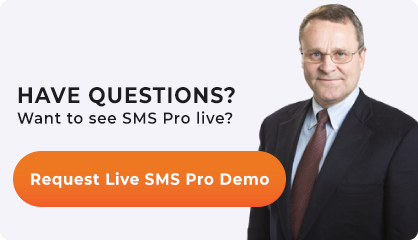 For this, you will need SMS database software to reduce risk of an "unsustainable" SMS. As you can see, this partial list of expected documentation will make even the most cynical safety manager reconsider using spreadsheets instead of databases. A low-cost, commercially available aviation SMS database will save considerable grief and reduce risk to the SMS. SRM and SA process integration. With spreadsheets, you are essentially limited to having a spreadsheet perform only one meaningful task. Trying to manage the many moving parts of an SMS in spreadsheets requires an unrealistic amount of effort in such systems. This is why spreadsheet-based safety programs usually only have a handful of spreadsheets to document core operations. With aviation safety management software, all pieces of the system are integrated together, communicate with each other, and document all aspects of your SMS. To take this further, if you have ambitions to integrate your quality management system (QMS) into your SMS, then spreadsheets will only set you back. When you integrate the QMS into the SMS, your data gathering and storage requirements naturally increase. From a technical standpoint, spreadsheets lack any meaningful data access security. Either you have access to a spreadsheet or you don’t. If you do have access, you can see all data that are in the spreadsheet. Roles without access to data in a particular system. Role based security allows you to protect sensitive information from roles in your company that you don’t want to see it. Full disclosure here: I am a database engineer. I design commercial databases, including databases to manage aviation SMS requirements. I also provide spreadsheet consulting services to anyone needing a coach, mentor or programmer to assist. To get to the point: I am an IT professional who understands both technologies. I am also an SMS professional with more than a dozen years developing SMS database software; therefore, I understand the data requirements for successful aviation SMS. It is my professional opinion that spreadsheets are the wrong technology to completely manage your SMS. Smaller companies do not have the IT resources or subject matter expertise to develop an SMS database, much less support the database for many years as SMS requirements change. It is more cost-effective to subscribe to commercially available SMS database products. If you use these systems properly, you will have fewer audit findings and less risk to your operating certificate. 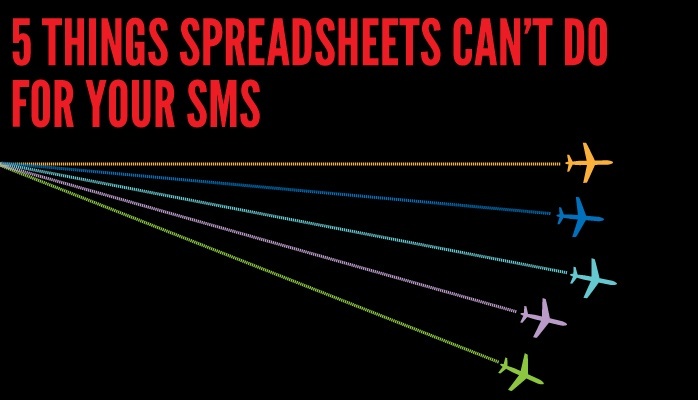 Final words: Don't rely on spreadsheets to manage your SMS. An SMS database is the correct technology for successful SMS.